This is Irene and Arie, posing in their 16th century costumes. They will be dancing several dances during our coming Kolibrie concert. 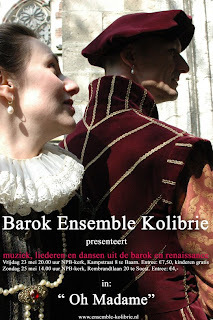 Two of the dances will be in their "Breugel" costumes, from the 15th century.